Ask any Singaporean where they’re heading next for a holiday, and a good number will probably tell you Bangkok. The capital of Thailand is perhaps one of our favourite destinations for a quick getaway — I mean who can resist delicious food at a cheap price tag, shopping and oh-so-good massages. 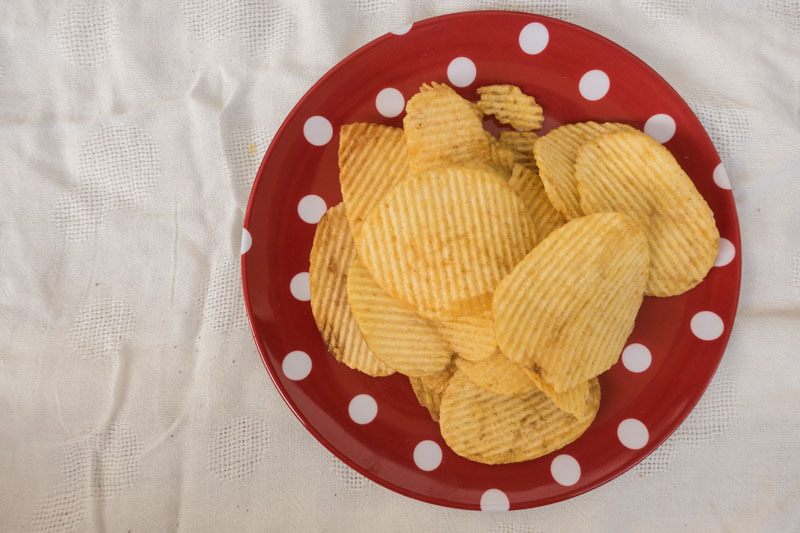 As for me, it’s the snacks that draw me back all the time. 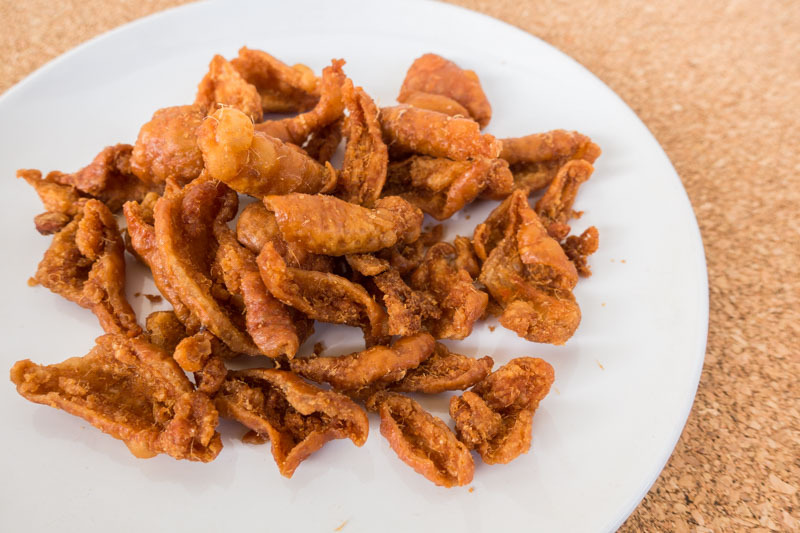 The bright yellow packet of Fried Chicken Skin might sound exotic at first, but it was absolutely crispy and fragrant. We couldn’t keep our hands off it and it was gone in a few minutes! The chicken skin tasted like fast food and we thought it would make for a great bar bite to go with a beer or two. 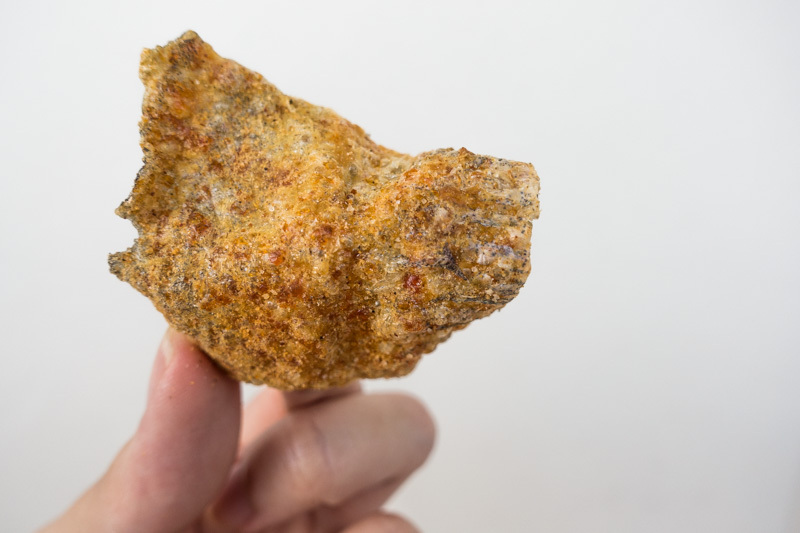 This Crispy Fish Skin indeed lived up to its name and was very crispy. 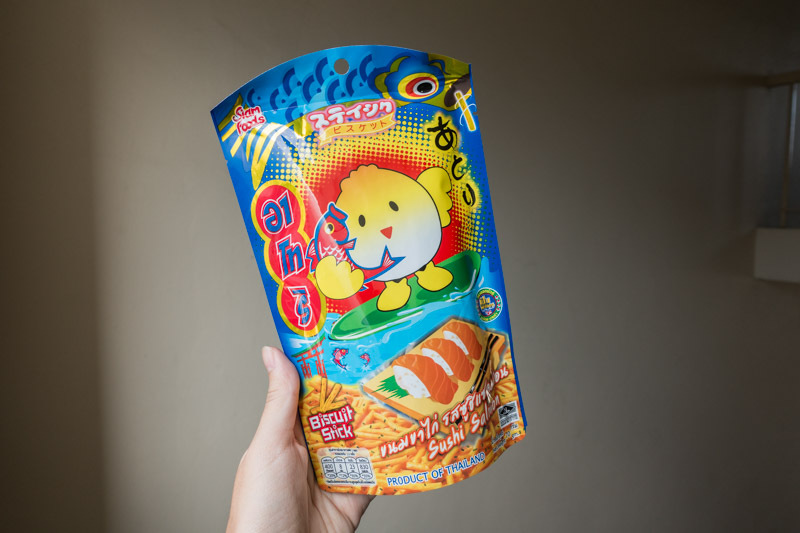 Thankfully, it only had a mild fishy taste, and there was a slight tinge of spiciness at the end. 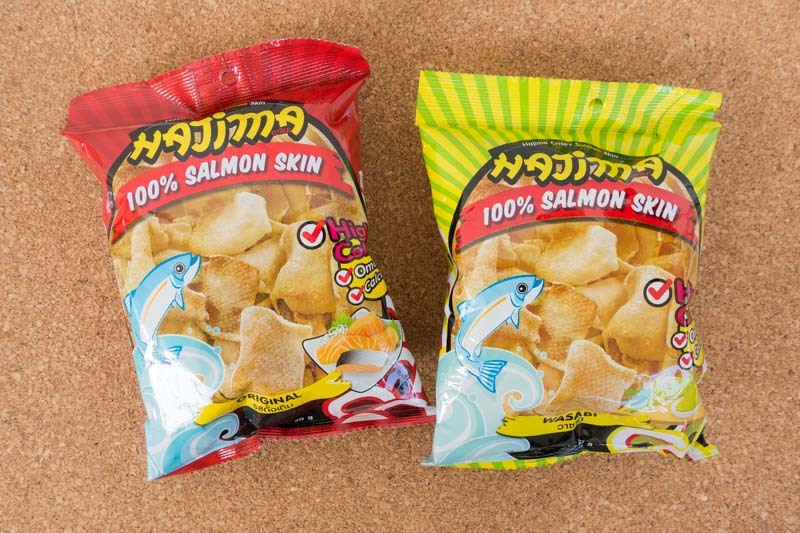 We chanced upon another fish skin snack, but this time it’s made of 100% Salmon Fish Skin as seen on the package. We bought two different flavours, but we enjoyed the original flavour much more as we could taste the natural flavour of the fish. 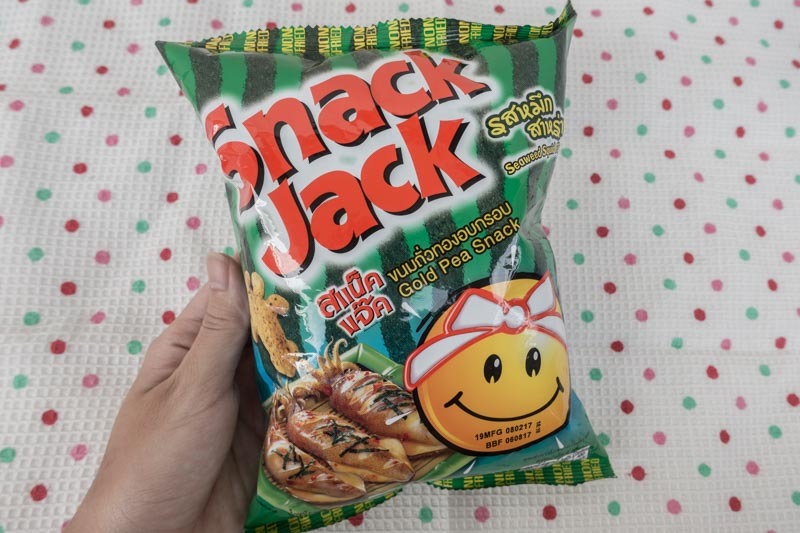 The wasabi flavoured snack was too spicy and numbed our tongues, but if you enjoy everything spicy this would be right up your alley. 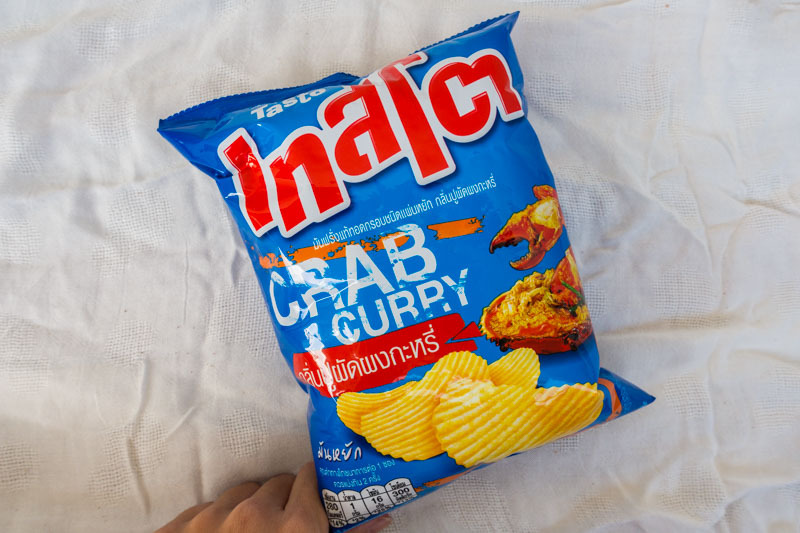 The bright blue packaging of this Crab Curry Chips drew us in immediately. Despite stating that it is curry-flavoured, the chips tasted nothing close to curry, or crab for that matter. Have a go at it and tell us if you liked it. 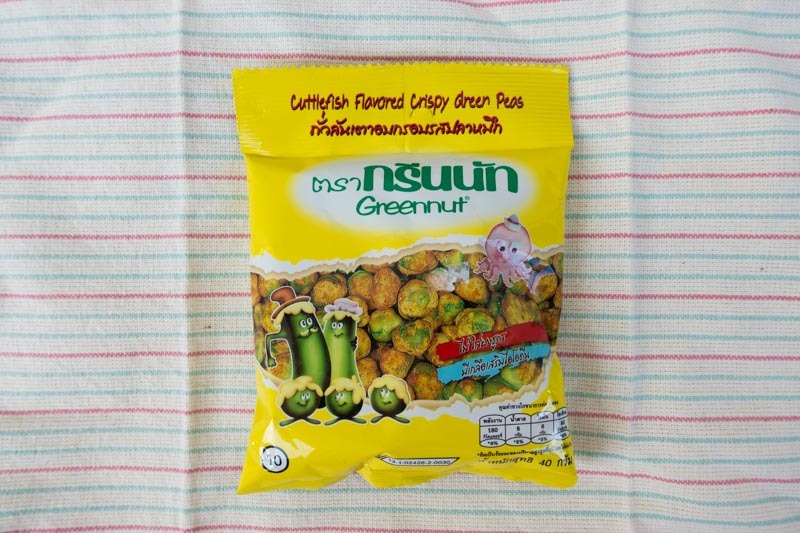 Next up is the Cuttlefish Flavoured Crispy Green Peas, which is really what the name suggests it to be. 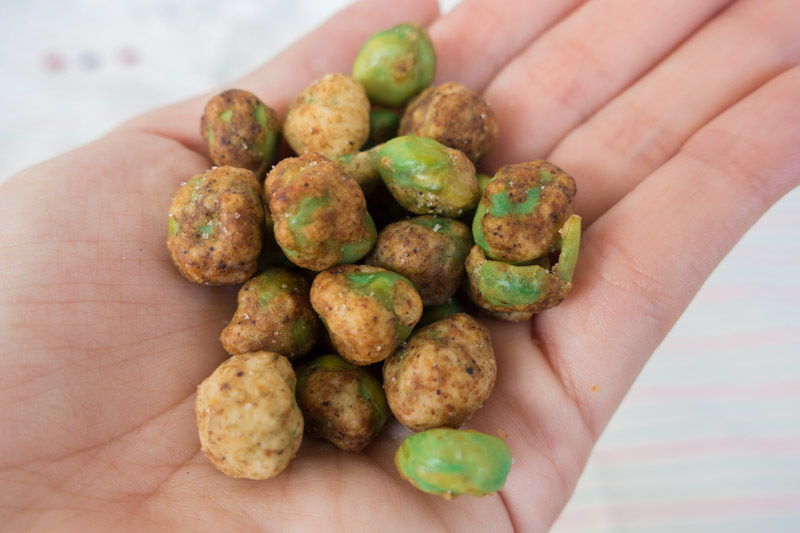 However, as you can see from the photo, some peas were not fully coated with the seasoning. But this didn’t stop us from munching on it. I love salmon sushi and I knew I absolutely had to get my hands on this Sushi Salmon Flavoured Biscuit Stick. However, this snack was a disappointment as I could not taste any sushi nor any salmon in it. 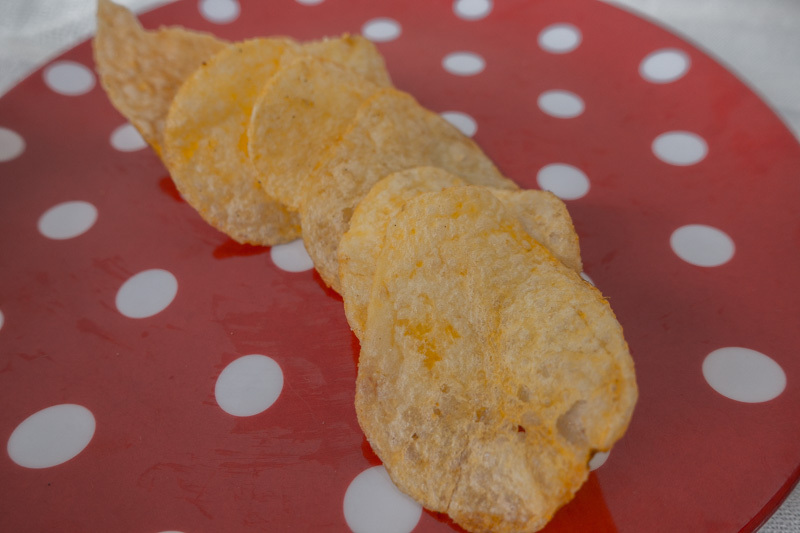 Mediocre at best, we’d recommend skipping on this snack, or you could just get it for novelty sake. 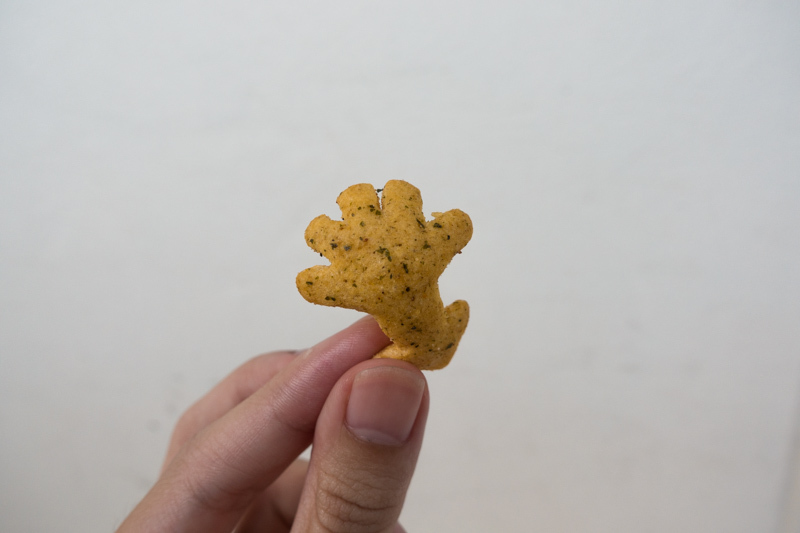 With a name that is a handful to call, the Seaweed Squid Flavoured Gold Pea Snack came in these little squid shapes that were adorable. They also had a really evident squid taste, true to its name, with a tinge of spice as well. 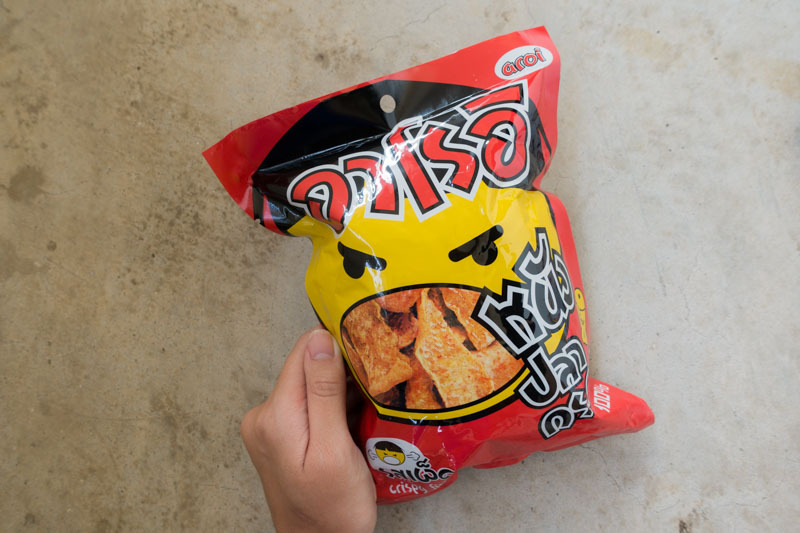 We initially had no idea what flavour the Miengkam Krobos Flavoured Chips was. 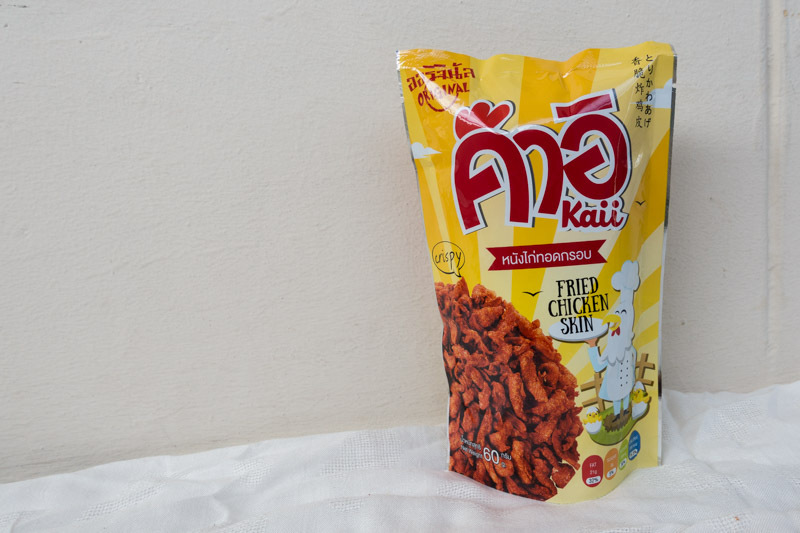 Luckily, we consulted everybody’s best friend Google.com and found that Mieng Kam is actually a traditional Thai snack consisting of food wrapped in leaves. 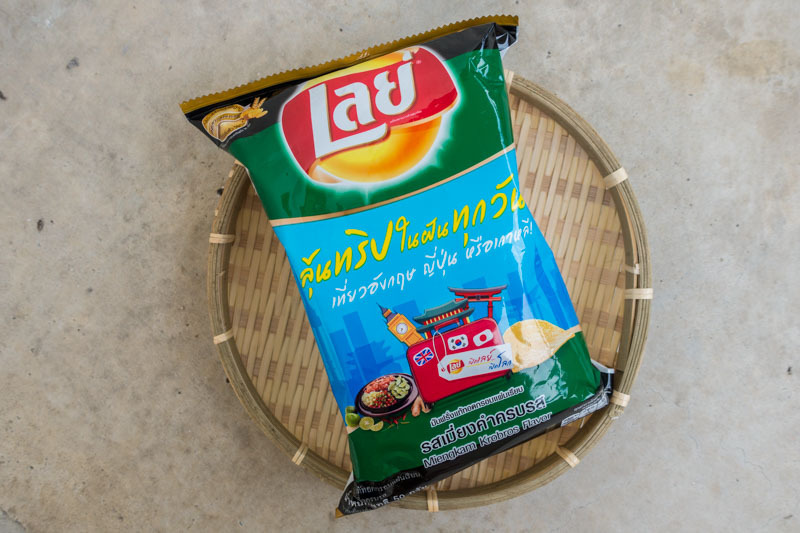 Though we have not tried Mieng Kam before, the two most evident tastes in the Lay’s chips were lime and tom yam flavours, which was rather refreshing. 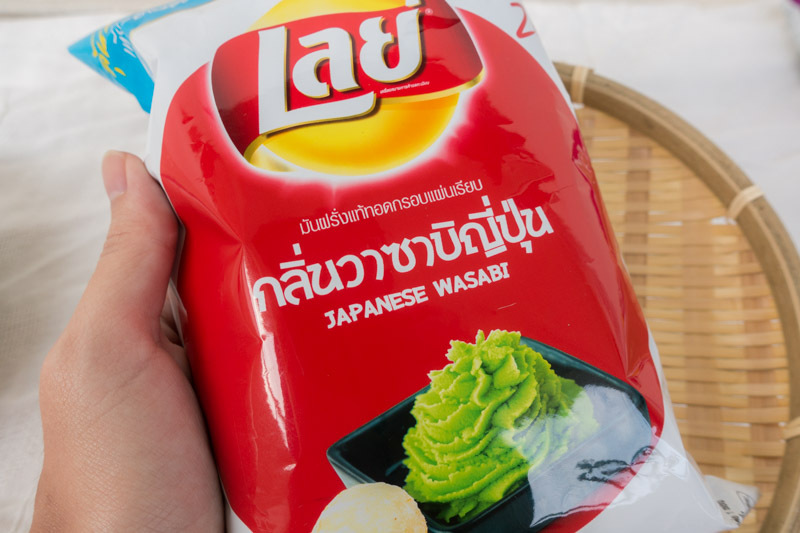 We bought another Lay’s packet, the Japanese Wasabi Flavoured Chips. 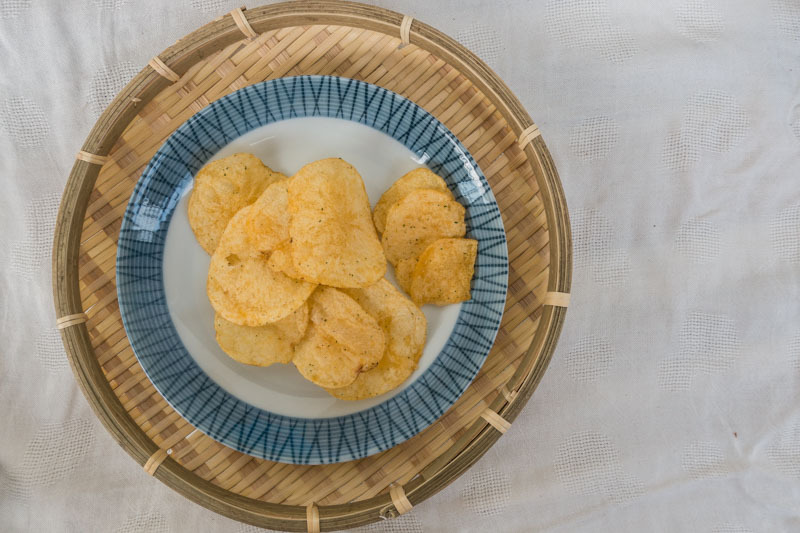 In comparison to the other wasabi-flavoured snacks we’ve tried before, the heat from the wasabi was subtle and not too overpowering. 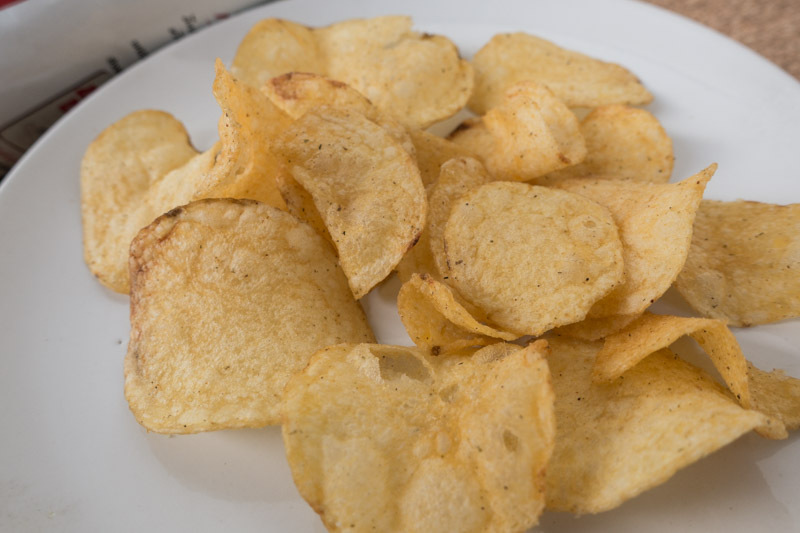 We also tasted some creaminess in these chips too. 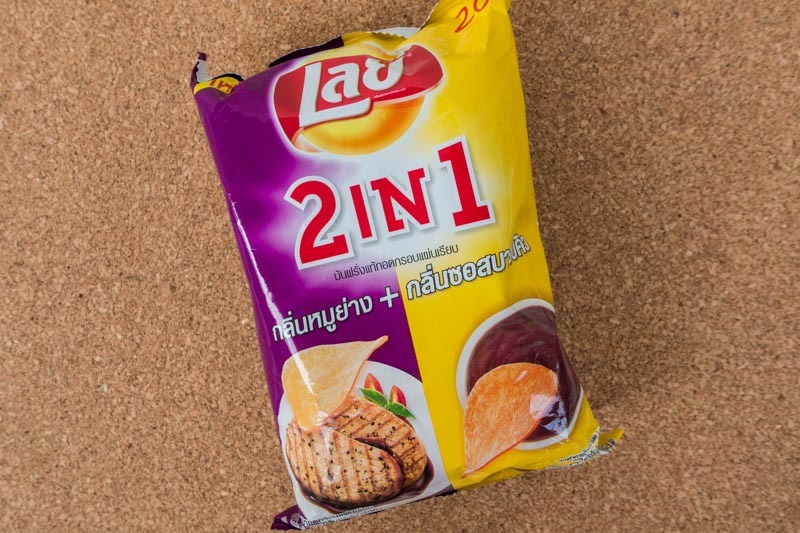 The last Lay’s packet we bought was a 2 In 1 Flavoured Chips, which again, we have no idea what the words meant. We suspect it was some sort of meat that was likely to be grilled chicken, and perhaps barbecue sauced flavour. We also loved this! 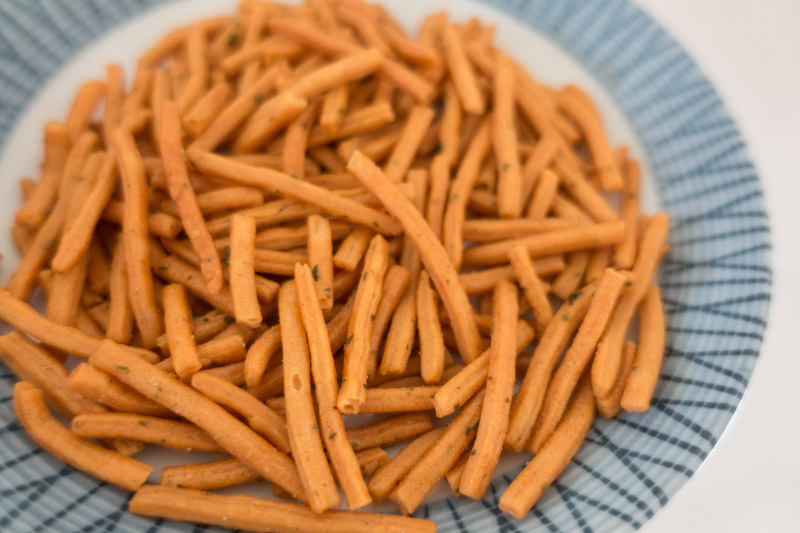 Best eaten when you eat the two flavours together in one mouthful. 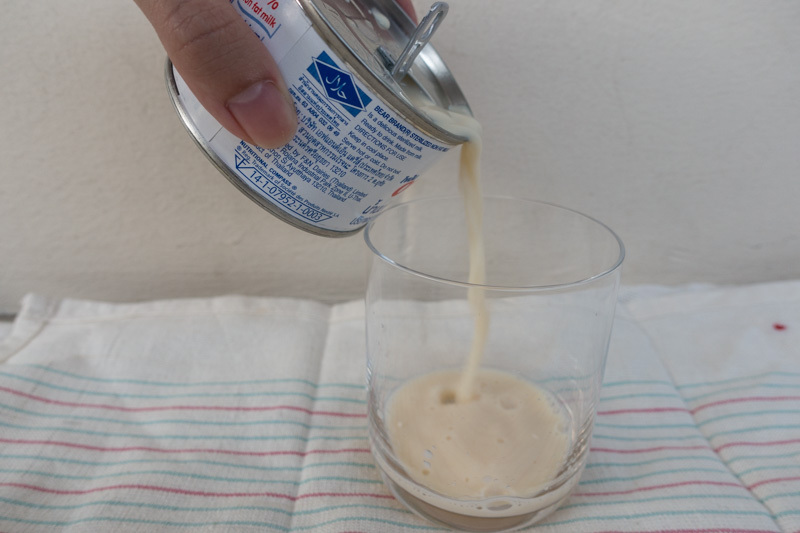 When poured out, the milk smelt cloyingly sweet. It tasted just the milk like those in the UHT cartons. However, to be honest we would really stick to regular milk in a carton. 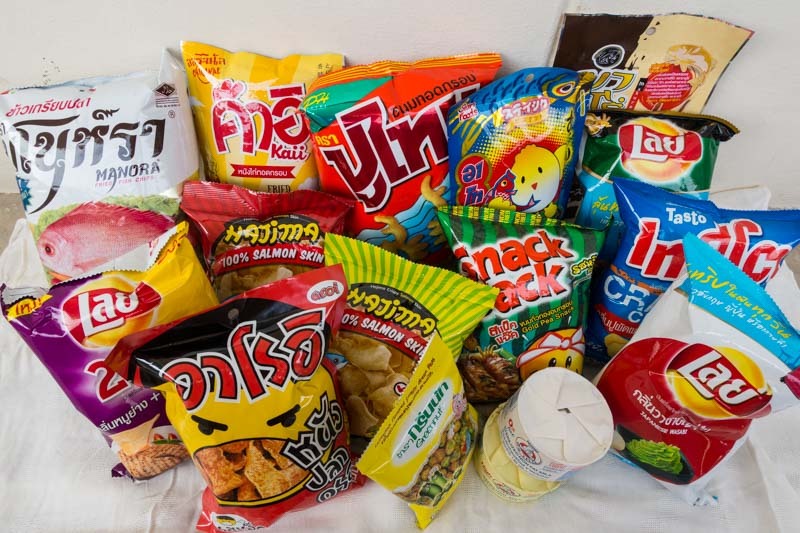 Pick up some of these snacks to surprise your friends back home on your next trip to Thailand! 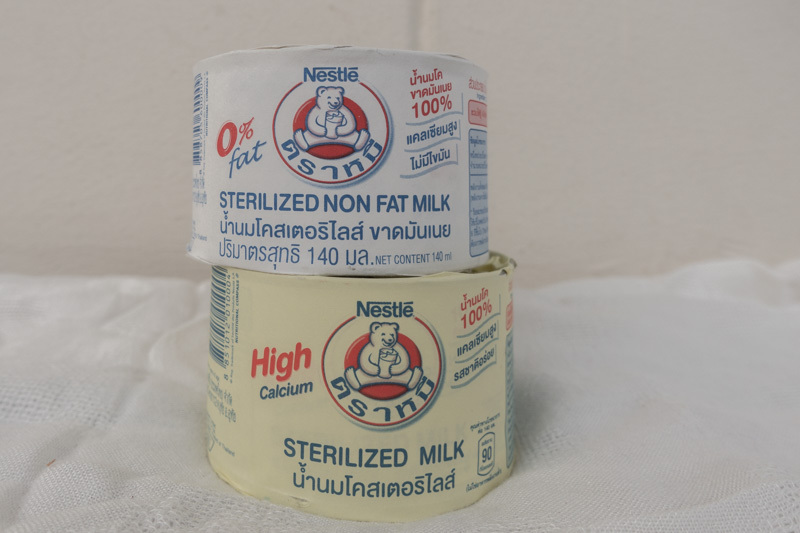 They can be found in Most Supermarkets in Thailand such as Big C and Tesco Lotus. 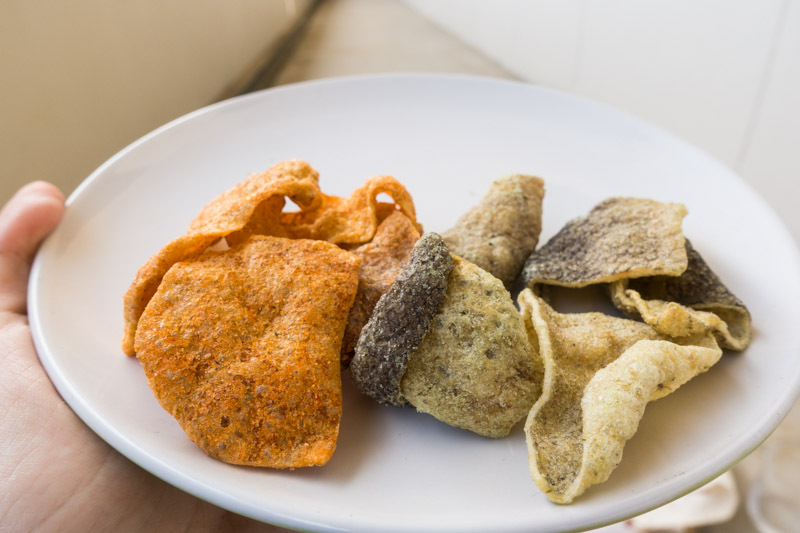 Have you tried some of these snacks? Let us know what other unique flavours you’ve come across. A typical hooman learning more about this world (of harsh and fun alike) with my pesky little Jack Russell Terrier.